The men muttered angrily among themselves. ‘We won’t sign!’ someone shouted. Its 1891, and Maggie McAllister, whose dad is a shearer, gets a firsthand experience of one Australia’s most dramatic events: the Shearer’s Strike, where shearers fought for better pay and conditions and the pastoralists in turn tried to get them to work for less. While Maggie’s Dad and his fellow workers strike, march and protest, Maggie and her mother help to report on events and distribute notices. But Maggie’s friends don’t all agree with the strike – or with her actions. Her friend Clara is the daughter of a wealthy farmer, and her other friend Tom needs work to help support his family. It seems that friendship doesn’t always survive. And for Maggie, witnessing the events of the strike make her aware that both sides have some valid viewpoints – and some questionable tactics. 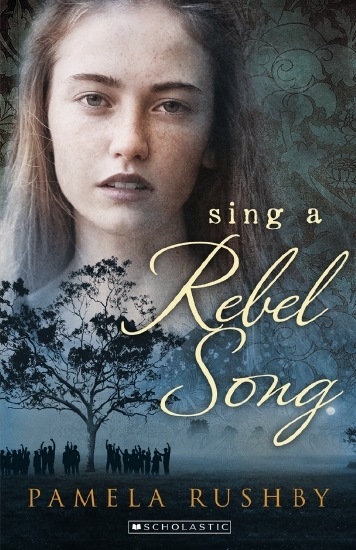 Sing a Rebel Song is an exciting, moving account of the strike, and of the part one fictional character plays in it. It also provides an insight into Australian life in the late nineteenth century, and the birth of the union movement through an accessible story. Rushby has a knack of making history come alive for young readers. ‘Where have you been working…’ He glanced down his clipboard for my name. ‘Dennis?’ He looked up. ‘I’ve been shearing down the Board of Works farm out of Werribee.’ I didn’t tell him this job was my get-out plan from shearing. Twenty-seven years old, a recovering alcoholic, and with a faltering marriage, Dennis McIntosh goes to work on an underground construction site in Melbourne’s west. He hates confined spaces, so working underground constructing sewer pipes probably isn’t his ideal job, but he knows he needs to stick at it. And he does, for seven long years, before resurfacing a changed man. The Tunnel is an honest and open account of one man’s working life and the way he uses it to confront his past and his perceived failings. McIntosh enters the tunnels poorly educated and with not a lot going for him, but decides in his time underground that it is time to take control of his life, get an education and achieve the things he wants to achieve. 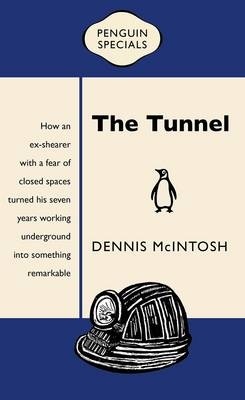 A Penguin Special, The Tunnel is a quick read, exploring the role of unions as well as issues of education and self-determination.